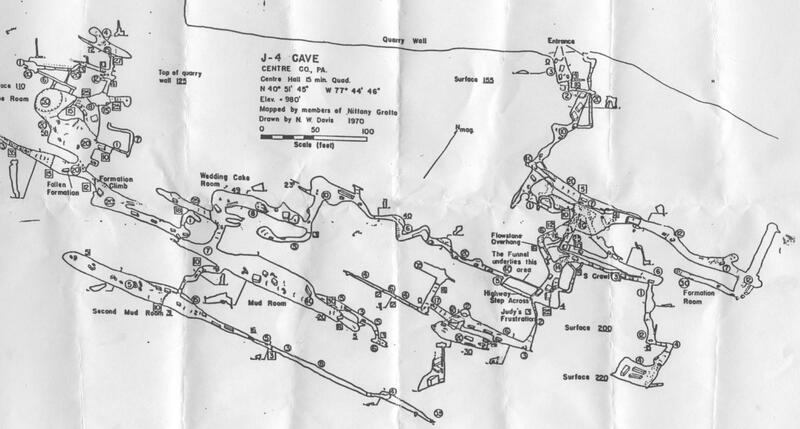 J4 is a gigantic cave near State College, Pennsylvania. My first time in the cave I spent 8 hours in there, and only saw about 60% of it. To enter the cave, you hike through some fields and some woods for about 20 minutes, scale a little rock face, then crawl through a couple pipes that are 2 feet in diameter. The first pipe, the one that takes you into the cave, is about 40 feet up on the rock face. Once you're in, there are some narrow passageways with pretty tight squeezes, and then you're out into the main cave area. It's mostly walking/climbing/hopping, but there's lots of crawling and sliding too. Of course, it's pitch black inside, so you need a headlight (unless you want to use a regular flashlight, and plan on doing your climbing with one hand, which you don't, because you'd die). You should take food and water too, because who knows if you'll make it out. And you really should go during the winter, or at least, not at night, because the bats make the whole process pretty terrifying otherwise. My headlight is the Photon Fusion, made by LRI. It lives here, and I bought it for $43 plus $7 shipping from Botach Tactical. This is an LED light, but it's not dinky like most of them are, it's really bright. It has 6 white LEDs, and on the "bright" setting it runs for ~10 hours on 3 AA batteries. 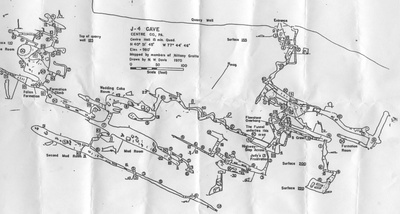 Here is a popular post about J4 cave. Directions to J4: take route 26 north/east out of State College, and go about 5-10 miles. Then turn right onto route 144, and go less than a mile. There is a small school on the right, then a road after it; turn right onto this road. It dead-ends shortly, into the field that you will walk through to get to the cave.